Welcome to one of New York City’s most celebrated attractions! In the heart of Midtown, steps from Times Square and the Theater District, The Rink at Rockefeller Center is a New York City tradition that everyone can enjoy. Whether it's a classic NYC ice skating session, a VIP Igloo outing or one of our other exclusive experiences, you are assured magical memories that you will cherish for years to come. For more information and to purchase tickets to experiences for the upcoming season, please visit therinkatrockcenter.com. After your time on the ice, enjoy a delicious meal at Rock Center Cafe, The Sea Grill or Cucina & Co. 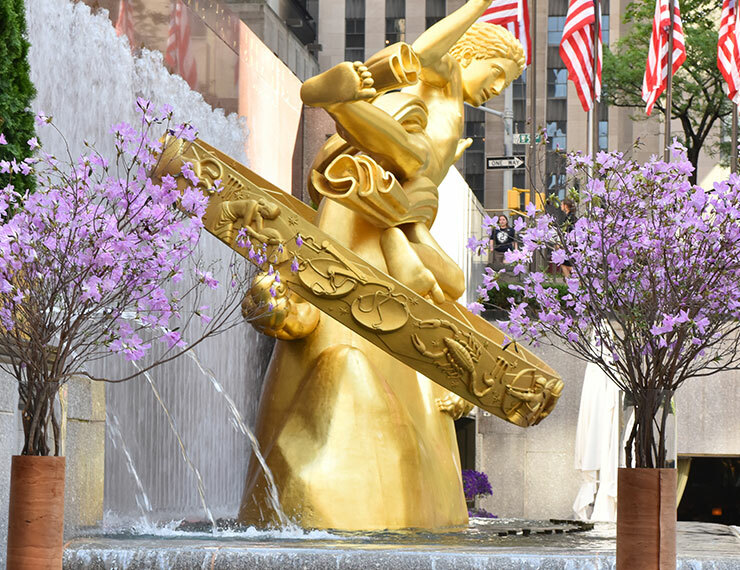 Known as “the city within a city,” Rockefeller Center was built in 1930 and offers an ornate architectural display that marries themes of culture, history, entertainment, and art in the heart of Midtown Manhattan. Rockefeller Center encompasses 19 commercial buildings covering 22 acres between 48th and 51st streets in New York City. With beloved traditions such as the annual tree lighting ceremony and the seasonal ice skating rink, Rockefeller Center is a quintessential example of New York’s cultural and artistic significance, as well as one of NYC’s top attractions within Midtown Manhattan. A legendary complex with nearly 100 years of history, Rockefeller Center is a breathtaking landmark for NYC locals and visitors alike. View Schedule and Rates for 2018 Here! Treat your child to an unforgettable birthday celebration at the world’s most famous ice skating rink! We’ll take care of everything from cake to skates – simply fill out this form and let us do the rest. 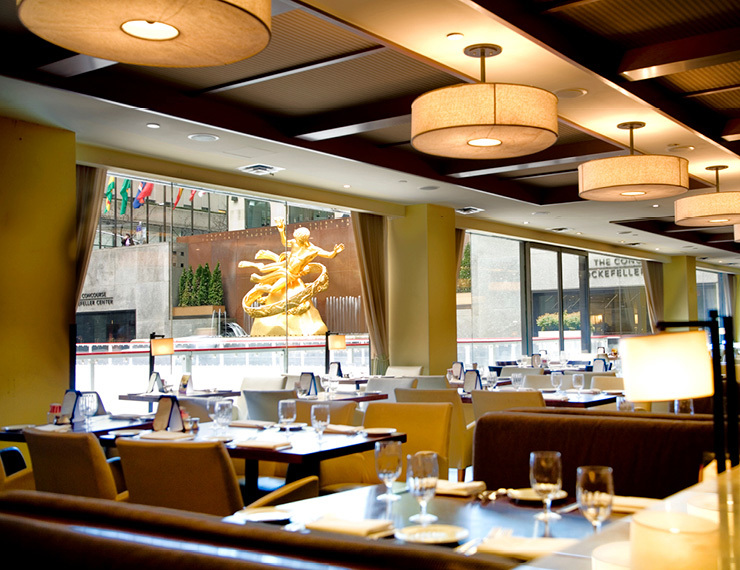 Rock Center Cafe is a midtown restaurant & bar in Rockefeller Center serving breakfast, lunch, dinner & brunch with holiday dining & events available. Summer Garden & Bar is an outdoor dining restaurant in Midtown NYC offering breakfast, lunch, dinner, happy hour specials, events & private parties. 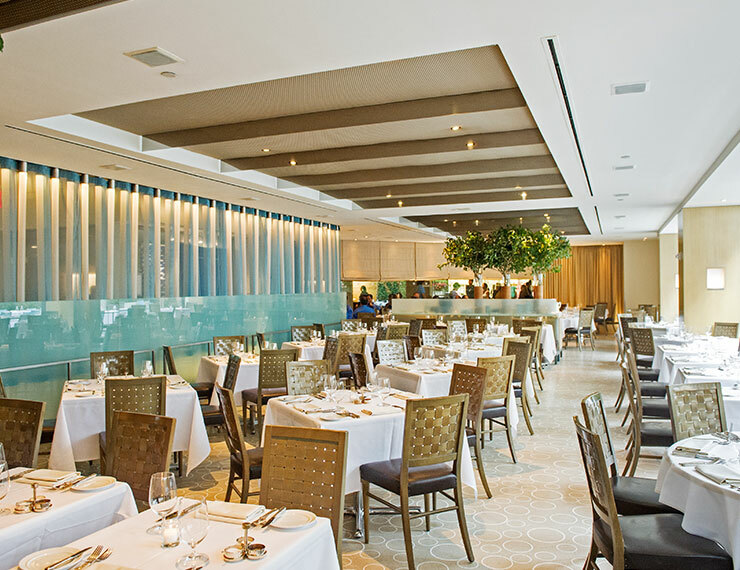 The Sea Grill at Rockefeller Center is an iconic seafood restaurant in Midtown NYC serving the freshest fish for lunch, dinner and elegant private events.